Members post for free until the car is sold or the owner notifies us to take the ad down, which ever comes first. If you are not a member, Why not join the club? It's only $40.00 and you receive all the benefits of membership - Beautiful cars, great friends, and good food. Go to the Join Us page. 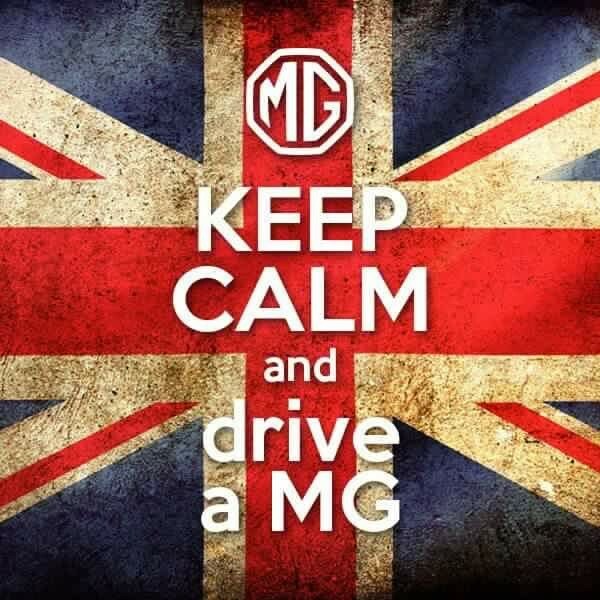 The Houston MG Car Club does not take any responsibility for nor warranty, endorse, recommend or provide any guarantees of these listings. DEAL LOCALLY WITH FOLKS YOU CAN MEET IN PERSON - follow this one simple rule and you will avoid 95% of all scam attempts. NEVER WIRE FUNDS VIA WESTERN UNION OR MONEYGRAM or any other wire service. Anyone who asks you to do so is a scammer. FAKE CASHIER CHECKS & MONEY ORDERS ARE COMMON - banks will cash them and then hold YOU responsible when the fake is discovered weeks later. PAYPAL PAYMENTS CAN BE REVERSED - just because you receive the money in your Paypal account does not mean you are protected. If the buyer is using a stolen credit card, the payment CAN be reversed. THIS WEBSITE IS NOT INVOLVED IN ANY TRANSACTION, and does not handle payments, verify vehicle condition, guarantee transactions, provide escrow services, or offer any "buyer protection" or "seller certification". CAVEAT EMPTOR! NEVER GIVE OUT FINANCIAL INFORMATION like bank account number, social security number, eBay or PayPal password, etc. AVOID VEHICLE SHIPPING OR ESCROW SERVICES and know that only a scammer will "guarantee" your transaction. MAKE SURE YOU HAVE A WORKING PHONE NUMBER and home and work address, in case you need to get in touch after the transaction. 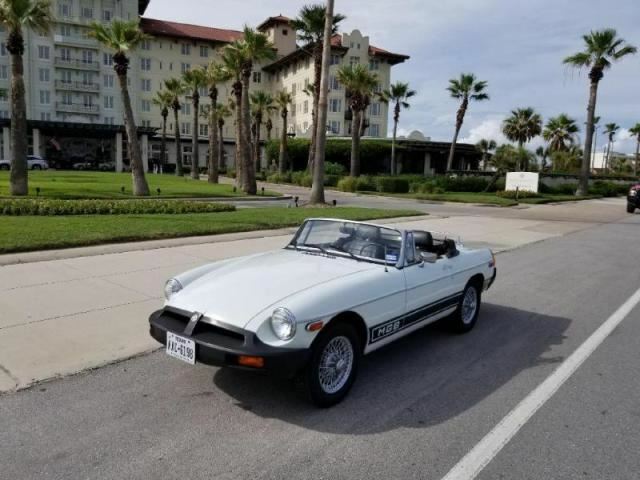 Houston MG Car Club member Ron Snider has two MGB's for sale, a 1975 1/2 Anniversary Roadster Edition and a 1974 1/2 Roadster. He will sell both as a package for $10,000. 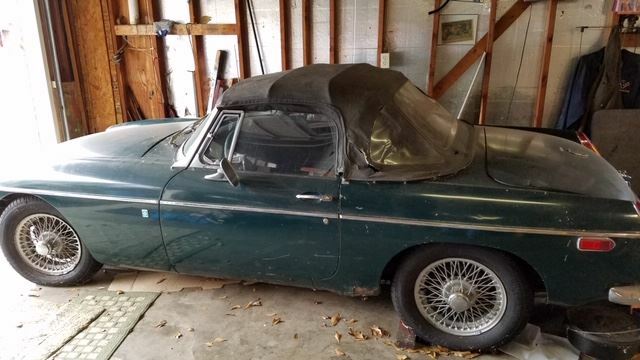 My dad start restoration of this car, but had a stroke a year ago and is unable to finish. The car was running before he had the stroke, but hasn’t since. Has brand new tires, and new top that needs to be installed. I don’t think it would take a lot to get this running, and it would make a good project. Asking $4000, but it’s negotiable. Car is located in Willis, TX, north of Conroe, in a subdivision that is on Lake Conroe off of FM 1097. 1979 MGB in factory correct Blaze Orange with factory correct Black interior. 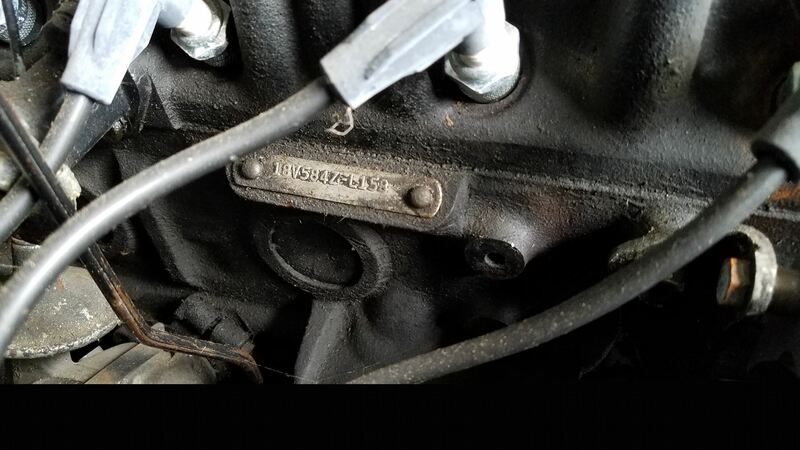 Rare factory original 5-speed OD transmission. This beautiful orange ’79 MGB is the perfect driver’s car for someone who wants an analog driving experience, regular usability and easy, low cost maintenance. The engine revs happily and the shifting is precise and controlled. Steering is exact – you point, it goes there. All of the senses are engaged. This is no museum piece, and priced as such. Selling due to growing family. 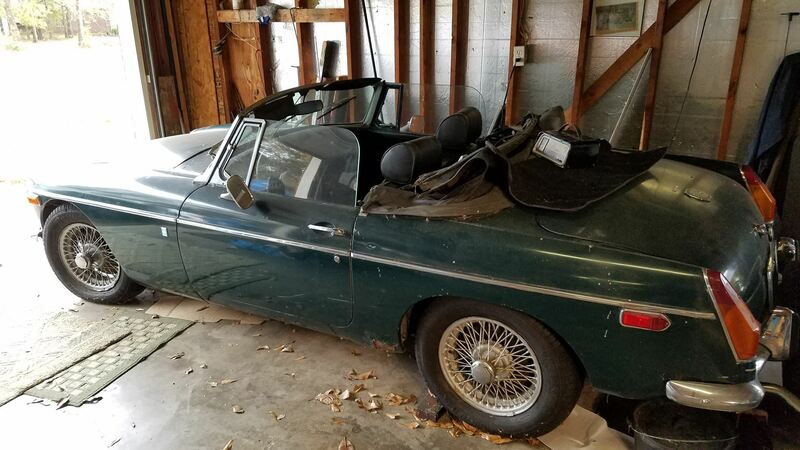 Beautiful MGB Convertible with 19,404 original miles. This outstanding car has overdrive, Weber carburetor conversion, wire wheels, luggage rack, new fans, hoses, tires and oil cooler. 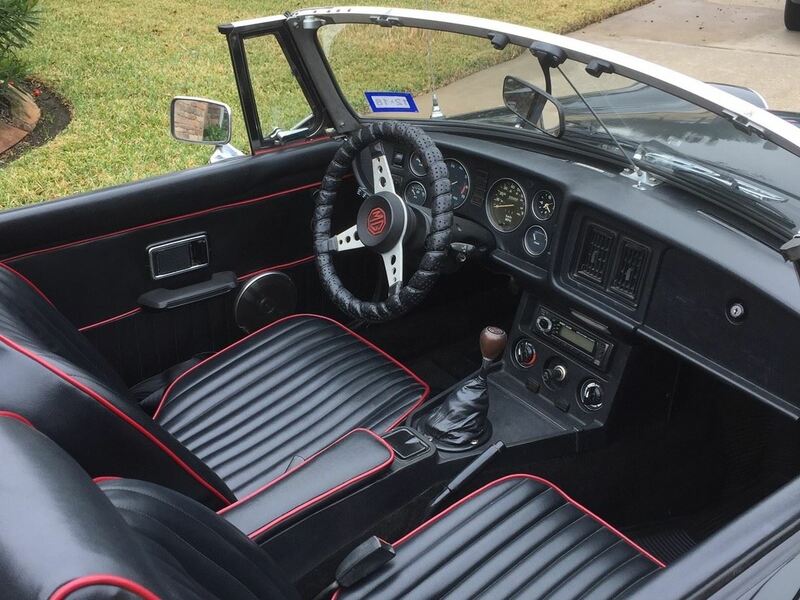 It has been garage kept, with perfect interior and original paint throughout with no rust. This car runs like a dream! 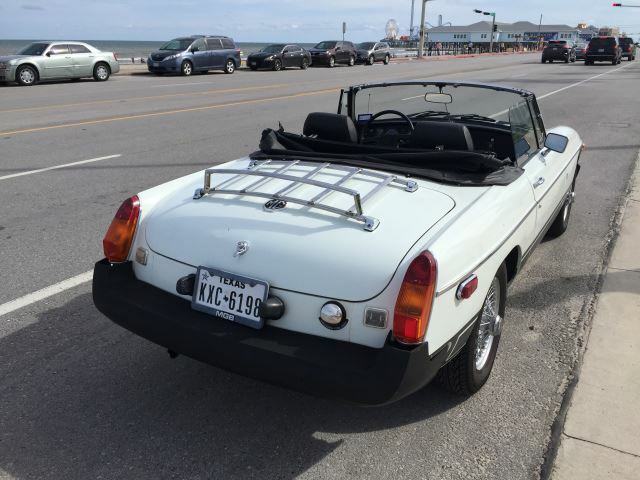 It may be the BEST original MGB in the World! 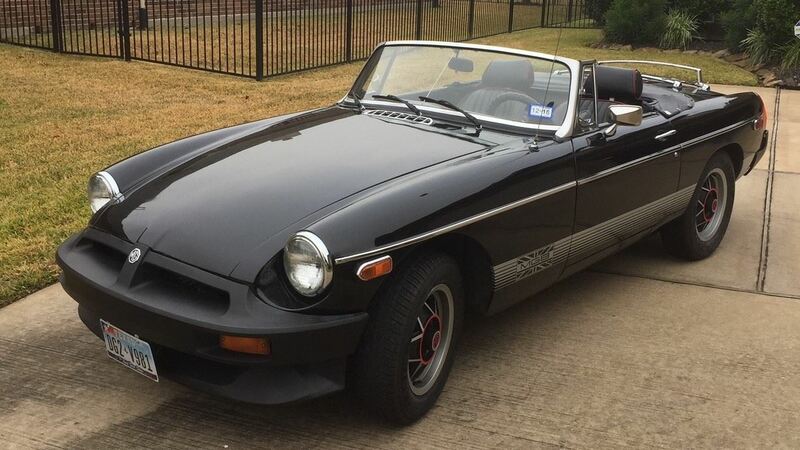 I have a 1980 MGB for sale that I have owned since 2004. During that time I have driven it approximately 4000 miles. 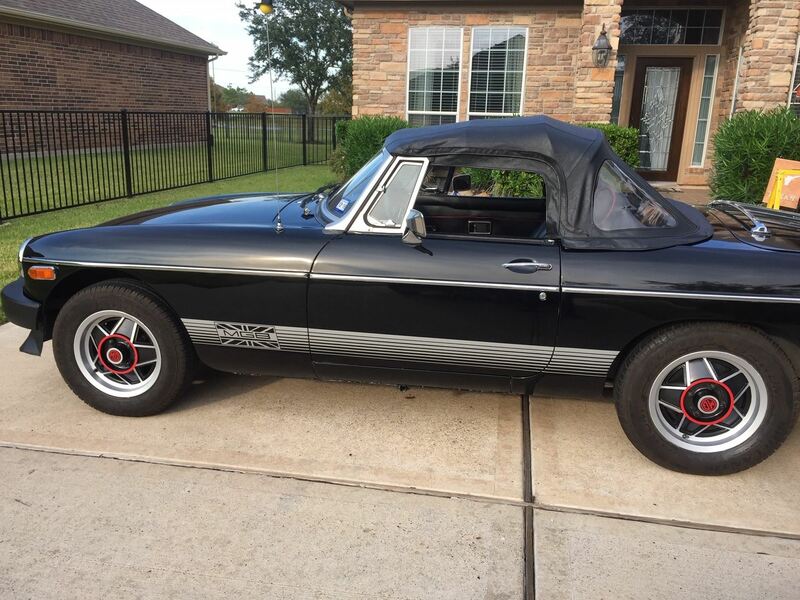 A 1967 MGB GT Special. 51,000 mile, rock solid West Coast car. Last year before emissions. Recent trade-school repaint looks great from five feet away. 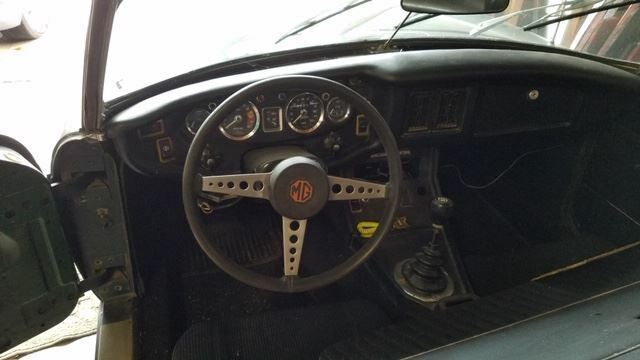 Mostly new interior, including mahogany steering wheel and RetroSound audio. Mechanically all original except Mallory HEI, Weber DCOE and new high-torque starter. 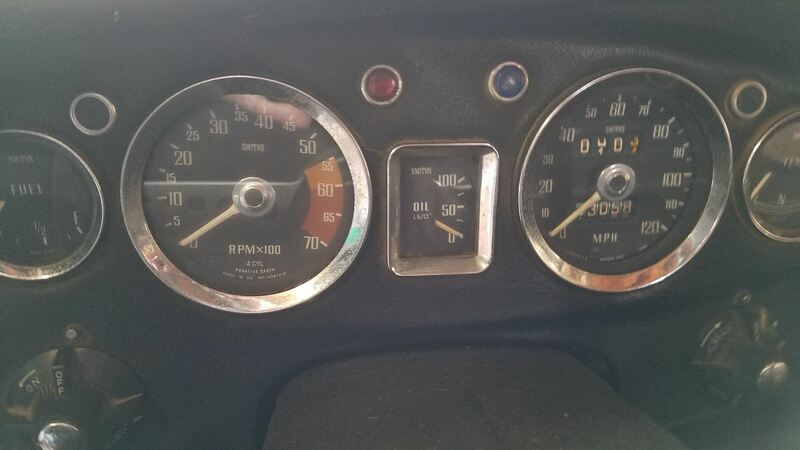 Includes decades of paperwork, the original California license plates, a big box of new parts (mostly unopened), manuals and a stack of wire wheels for parts or restore. Weathershield HD fitted cover. No leaks (!). 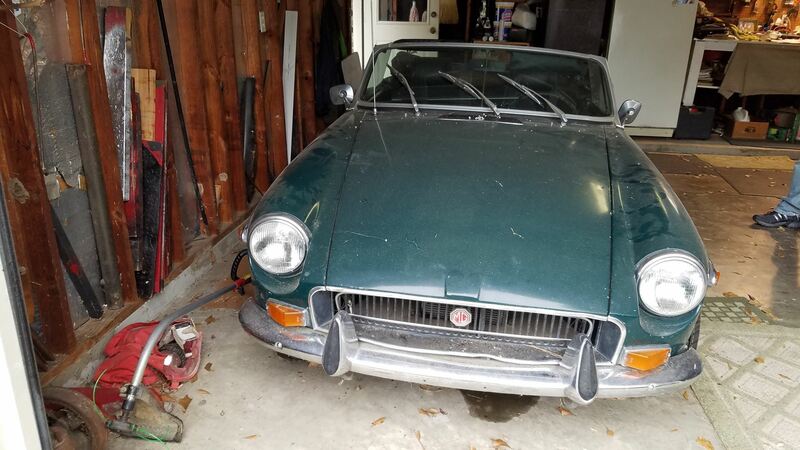 A Houston MG Car Club member MGB's for sale, a 1975 1/2 Anniversary Roadster Edition and a 1974 1/2 Roadster. He will sell both as a package for $10,000.